The Westone B50 Five-Driver True-Fit Earphones utilize five balanced-armature drivers to deliver clarity and realism for audiophiles and critical listening applications. 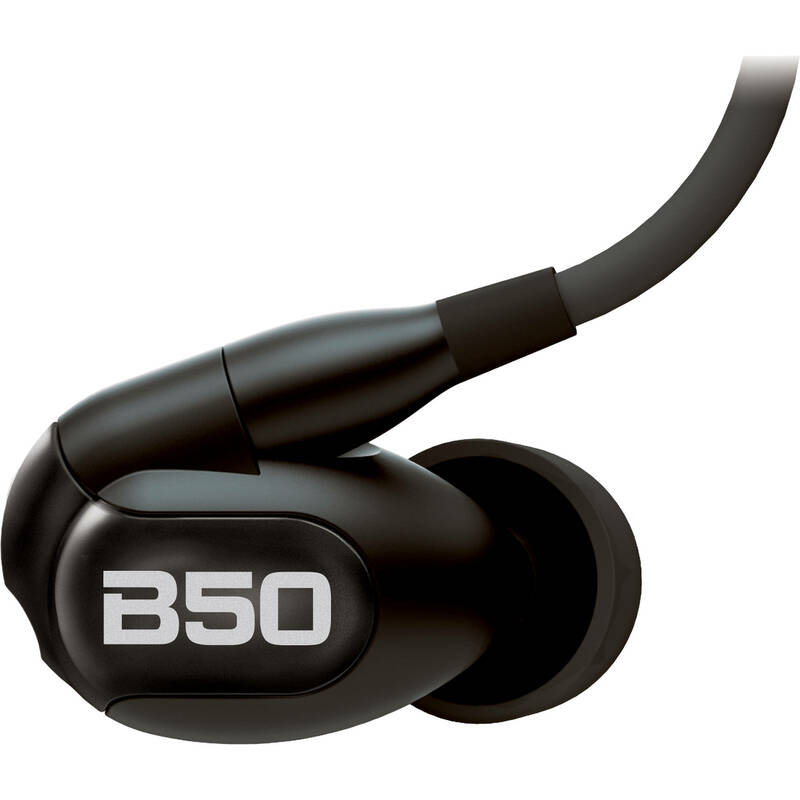 The B50 earphones offer a frequency range of 10 Hz to 20 kHz with a sensitivity of 118 dB. The B50 combines a low-end driver, two midrange drivers, and two high-end drivers to create its immersive, articulate sound. Each earphone's enclosure features a compact, low-profile, and ergonomic design that, when coupled with the included silicone and comfort-foam eartips, provides long-lasting comfort during extended listening sessions. The eartips offer 25 dB of noise isolation. The earphones come with a Westone Full-Resolution Bluetooth cable that uses aptX technology to deliver full-resolution audio. It does this at a range of up to 32'. The cable is also IPX4 rated as dust- and water-resistant. In addition to the Bluetooth cable, the B50 comes with a 52" High-Definition Silver MMCX Cable, which utilizes four strands of a low-resistance, silver-plated copper alloy. The design of this cable helps ensure electrical conductivity, which translates to a cleanly delineated, powerful sonic experience. The cable offers a 3.5mm connection for your devices. Both cables feature MMCX audio earphone terminations that connect with the earpieces. The Westone B50 includes a set of decorative faceplates, a deluxe zippered carry case, five pairs of silicone eartips, and five pairs of True-Fit foam eartips.